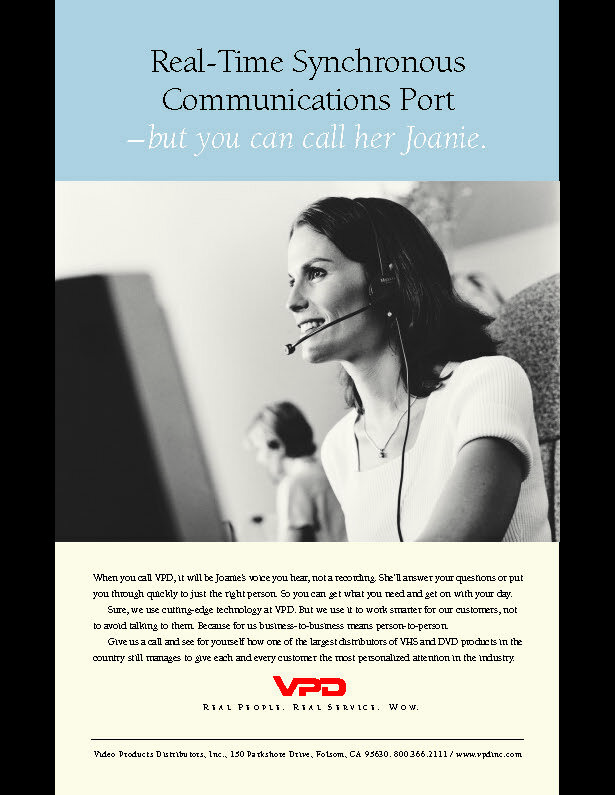 High-Bandwidth, Real-Time Communications Conduit—but you can call her Donna. 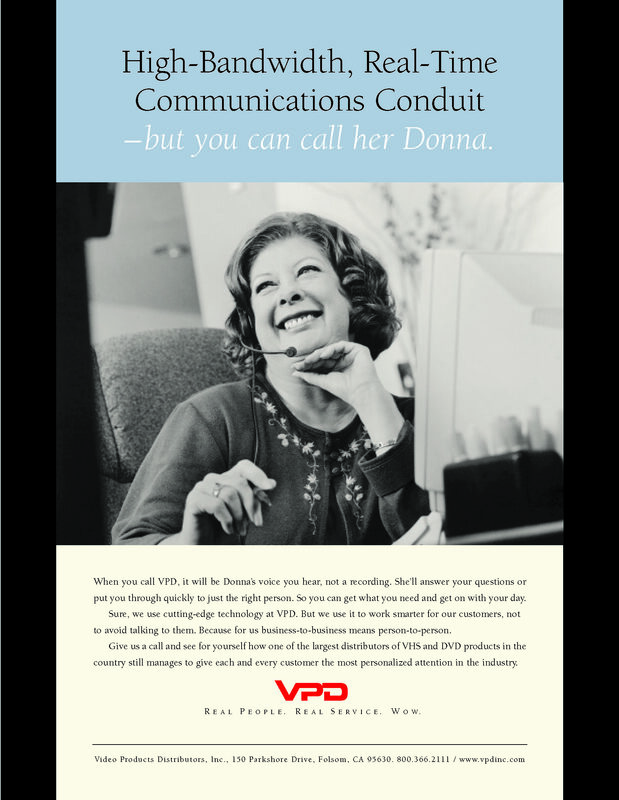 When you call VPD, it will be Donna’s voice you hear, not a recording. She’ll answer your questions or put you through quickly to just the right person. So you can get what you need and get on with your day. Sure, we use cutting-edge technology at VPD. But we use it to work smarter for our customers, not to avoid talking to them. Because for us business-to-business means person-to-person. Give us a call and see for yourself how one of the largest distributors of VHS and DVD products in the country still manages to give each and every customer the most personalized attention in the industry.